Reservation necessary at phone no. 724 912 or e-mail jana@fitkojana.cz. 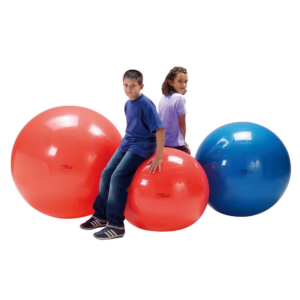 We strengthen our back and belly in playful and entertaining way using various tools (small and big balls, balancing platform, cylinders, SM-system etc.). We also train balance and feet. We will try what correct breathing can do and how to exercise in pairs with a friend. One lesson lasts 45 min. and it’s supervised by a physiotherapist. There’s a maximum of 10 children attending this course. At DK Fontána, adress: Stamicova 11, Brno – Kohoutovice, former Juventus. Current availability: We accept new applicants. Physiotherapist (LF MU) and sports instructor of pilates, yoga, TRX suspension systém, SM-system, barefoot etc. Preventist and instructor at seminars and workshops on both children and adult topics (healthy feet, healthy backs, ergonomy or workplace…). It’s necessary to make a reservation. Every Tuesday 16:00 – 16:45 hod. It’s possible to fill in the form for health insurance for this course and get contribution from health insurance company.